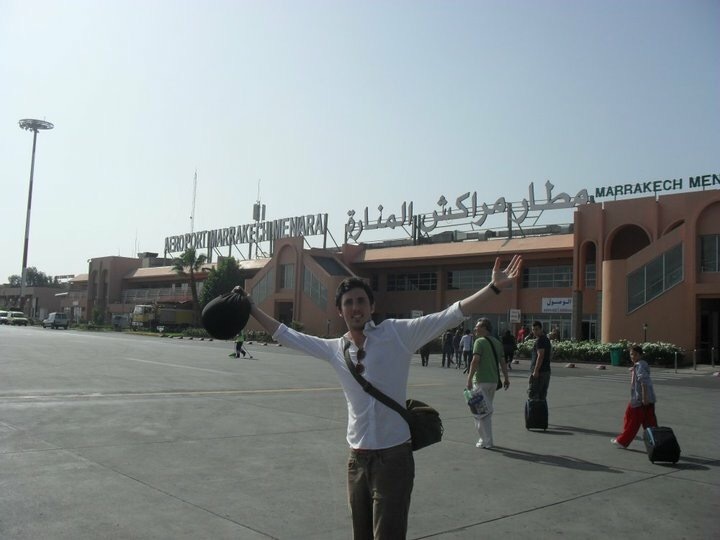 Back in 2009 Miles and I embarked on a trip across Morocco. 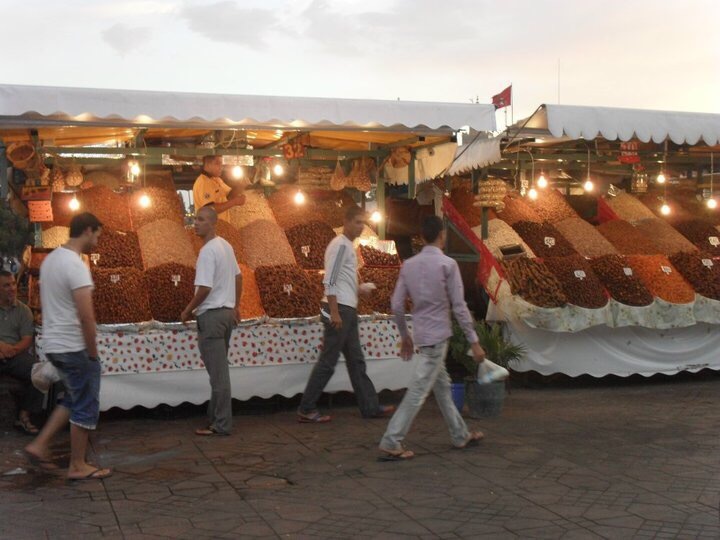 We’d heard amazing stories about the souks, snake charmers and spices – it all sounded so exciting. So we decided to take just over three weeks off work and headed across to the Northern African region. We didn’t really have a plan of where we wanted to visit so we flew in Marrakech and went where the wind took us! Writing this almost 7 years later is a bit of a struggle to remember exactly the route we took, but thanks to my trusty ancient photos and old receipts the trip went a little something like this. After a short four hour flight we landed in and made our way across to the Old Town (Medina). 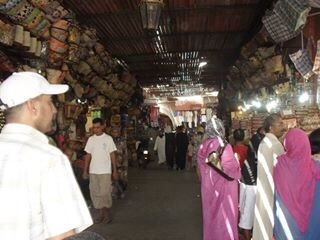 We must have had the look of complete newbies about us as the second we entered the main area near to Djeema al Fna we were absolutely mobbed by men telling us they would take us to our hotel for a small fee. At this point in time I had never really been travelling and so I found this experience a little intimidating – they followed us around for a good 20 minutes. We soon found our hotel which had been recommended to us by a friend from University. We had booked a private room at Hotel Essouira which is a typical riad tucked right off a small side street next to the main square – you really couldn’t get a better location. After dumping our bags and we headed out to explore the main area and see the exotic offerings in the Souqs. 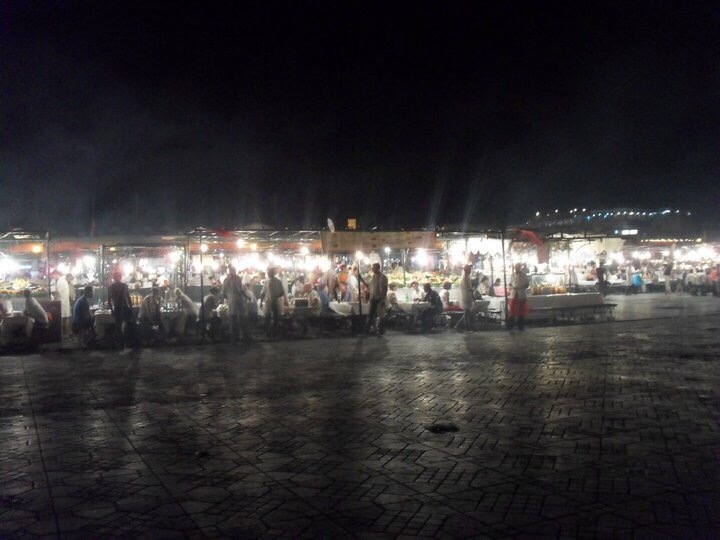 Djeema al Fna is the main square in the centre of the old town and the heart of the medina. Djeema al Fna is translated literally to mean ‘congregation of the dead’ however this place is far from dead – it’s positively buzzing. In the day the square is filled to the brim with fortune tellers, snake charmers, juice and fruit stalls and in the evening it’s transformed into a huge food market selling everything from snails to boiled sheep’s heads – it’s incredible. Miles and I wandered around the square taking in all the sites (and smells) before embarking on the narrow alleys of the ancient souqs. After spending a couple of days in Marrakech we wanted to escape the heat and the crowds and headed towards our first stop – the Cascades d’Ouzoud – via the world’s sweatiest bus journey. The cascades are the most beautiful waterfalls roughly 100 miles from Marrakech. We stayed the night in a wooden hut with a hammock and our own secluded lookout right over the falls – it was amazing. We had a delicious meal in one of the restaurants further up the falls that evening and saw numerous monkeys – too many to count! Could there be a nicer spot for a hammock hang? After a lovely night sleep we woke up (to the falls which had now turned a dark brown) and ate our delicious petit dejeneaur in front of the water. That afternoon we took a long hike up the road of Beni Mellal and enjoyed the amazing views. It felt like a little holiday and provided a real sense of calm after spending some time in the big city!